Living Well Spending Less: 12 Secrets of the Good Life shares 12 secrets for seeking—and finding—the Good Life in our day to day lives. 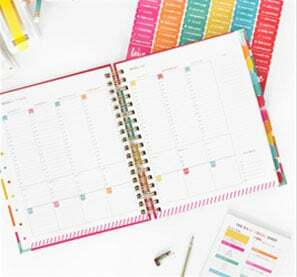 From time management and goal-setting to managing our homes and finances, these practical and concrete strategies can help each of us discover a life rich with purpose. Even so, a life well lived is not so much about what we have as who we are, and ultimately each one of us holds the key to our own secrets. Secret 13 is the truth that YOU have uncovered as you discover your own Good Life. Each week for 12 weeks we will select one finalist’s essay to feature here at Living Well Spending Less. At the end of the 12 weeks, Living Well Spending Less readers will vote on their favorite #Secret13 story, and the essay with the most votes will win a 7 day cruise for 4 on the Carnival Sunshine! 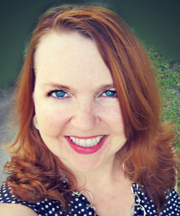 Today’s post is our second finalist in the Secret 13 Essay Contest. For more inspiring Secret 13 stories, be sure to check out our Blog Tour! Hi everyone! My name is Claire and I blog over at A Little CLAIREification. 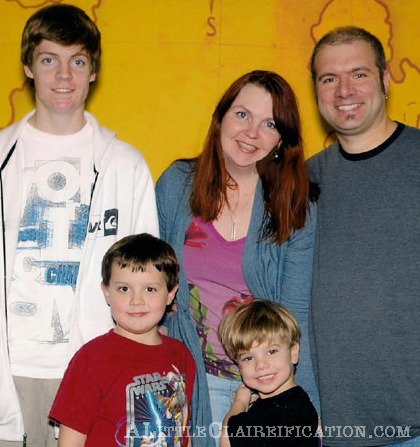 I live in Orlando with my Husband and three boys, even though the oldest is now away at college for the most part. A little over six years ago we experienced a heartbreaking loss and, until recently, I was unable to bring myself to write about it. Feeling like a failure is a powerful thing to deal with. Coupled with fear and embarrassment it can be paralyzing. Hitting “publish” on this post was not easy. In fact, it was one of the hardest things I have ever done but I am so thankful that I was finally able to write it down and find the courage to share it. I am submitting it here in hopes that any one of you that may have gone through something like this will understand you are not alone, and that sharing it is truly part of the healing process. Also, the idea of winning a cruise for my family is pretty amazing after everything we have been through together and I am so grateful for this opportunity. I didn’t know what it meant but I used to think we had it. And then, for a long time, I felt like we had lost it all and that we’d never really have it again. It’s taken some years… some time to set some distance between what happened for me to realize that “the Good Life” isn’t at all what we thought it was. I guess that title sounds a little dramatic – we didn’t lose everything and certainly not the things that really matter. I know that now, but it was a huge, heart wrenching loss that still hurts some days, nonetheless. I think now that it’s over 6 years later, I can maybe talk about it. Our story is so similar to many people who went through the economic crash in 2008, but it’s OUR story and I haven’t told it yet so here goes. When Mr. Claire and I got married in 1998, all we wanted from our family was money for a down payment for a house. We were able to buy a little 1920’s 2 bedroom / one bath bungalow in a historic area with a brick street for $85,000 (just typing that makes my head spin) and we only needed $5,000 down. 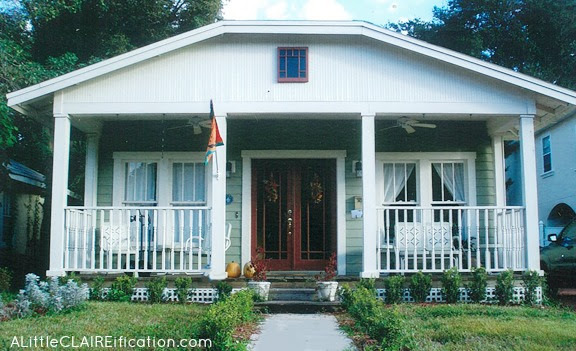 To call it a “bungalow” is a stretch. It looked more like a run-down shack. Throughout the years some of the shortcuts and random “fixes” that had been made before we moved in… well let’s just say this house needed a little more than TLC. The floor was slightly sloped so the refrigerator door would slam shut whenever you tried to get something out. At one point someone had decided that covering the original wood siding on the front of the house with large asphalt roofing shingles was a good idea. There was dingy beige carpeting throughout. But it was ours. Our first home. In fact, when we went on to renovate in 2000, my wood framer looked at me and said “Ma’am, with all due respect, are you sure you don’t want to just tear it down?”. No, we wouldn’t be tearing it down. In addition to my job I took on the role of “General Contractor” and, after our architect delivered the signed and stamped blueprints, I cannot tell you how many times I was down at City Hall pulling permits. It was like my second home. That and The Home Depot. We started the renovation in the Summer of 2000 by pulling out a second mortgage based on the final plans. Contractors were hired and draw checks from the bank were printed and made out directly to those contractors. I loved every bit of this process, mind you. To try and explain what we did is hard if I want to keep this to less than 4 posts but basically we took an 885 sq foot bungalow, blew out the back and built back and up creating a two story, 3,500 sq ft., 5 bedroom, 3 bath home complete with a beautiful front porch. The renovation was exhausting yet marvelous. I was made for this. Every little detail. I scoured salvage yards and antique shops and hand picked antique windows and doors. I drove an hour away to buy an old claw foot tub for the guest bath and found an old Kohler corner pedestal sink on eBay from Texas. I chose the oak flooring and the tiles. We even incorporated some special tiles we picked up in Edinburgh, Scotland on our honeymoon into the family room floor. I chose every light fixture and faucet. Yes, I loved every bit of it and in 2001 when we could FINALLY move back in… well I’ll never forget that day. It was so beautiful and it was home. Our two mortgages were wrapped together and the payments were completely reasonable. Our initial mortgage was only 80K, remember? Another re-fi in 2004 with a 3 year ARM (adjustable rate mortgage) made the payments even better. We both still held full time jobs and went on to have two more children and then we decided to open a franchise in 2007 on the recommendation of a friend. Another second mortgage, a business credit line and another renovation – this time for a new business. Business was gangbusters for the first 3-4 months. 1) Business dropped off sharply because the economy started tanking. 2) A month after we opened the business, our ARM (remember that adjustable rate mortgage I mentioned?) kicked in. Paired with our new second mortgage to open the business, our home mortgages shot up to about $5,000 a month. Yes, you read that number correctly. There was no way to refinance because the market had crashed down around us and we were suddenly upside down owing more than our home was worth. We managed as best we could for 8 months or so and then… we just couldn’t. I had never missed a mortgage payment before and it was a terrifying feeling. If you think nobody cares about you try missing a mortgage payment. Even though we maintained our jobs, with three children and employees to pay we were suddenly drowning. In the Fall of 2008 I knew we had to walk away from our home. I didn’t know what to do but I felt I had utterly failed my family somehow and the thought of someone showing up and throwing us out made me sick. It also meant I couldn’t sleep. So I got in the car and I drove around with tears streaming down my face just praying that God would lead me to a rental that was in the same school district and downtown area I’d lived in for years. And He did. I had almost given up and then I turned down a street I had never been on. I stopped and called immediately and the owner said the sign had just gone up that morning. I waited there for him to come and somehow it all worked out. I spent the next few years trying not to think of what we had lost. “The Good Life”, right? I went through phases of feeling like a complete failure and honestly there are days I still feel down about it. But, as it turns out the good life has nothing to do with a house or things we accumulate. And that, my friends, is what I have learned. It’s my #Secret13. And now I know I can do, and survive, ALL things… how about you? 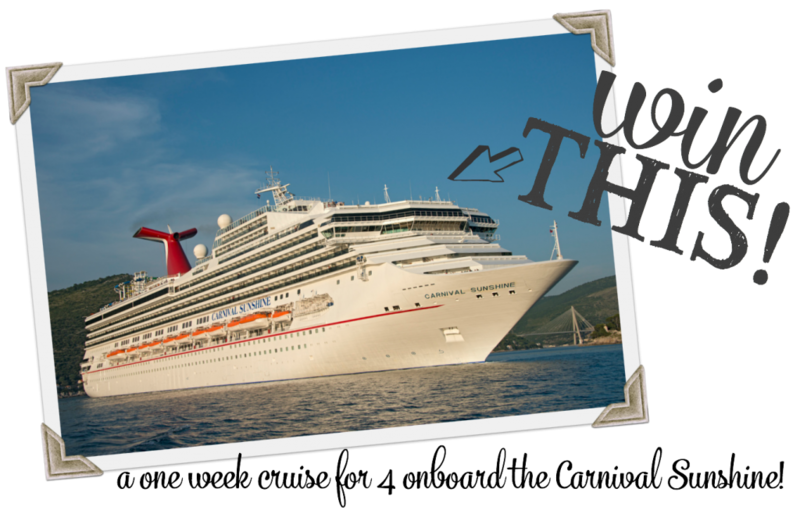 Want to enter for a chance to win an all-expenses paid cruise for four on the Carnival Sunshine? 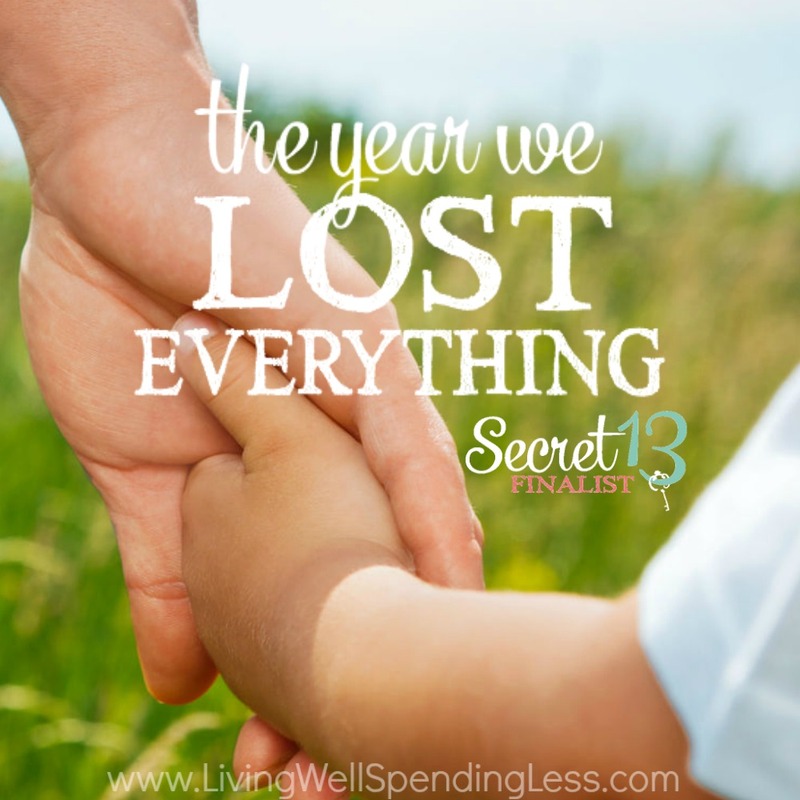 In 750-1200 words, please share your own Living Well Spending Less® story. It could be a challenge you faced in your own life and the lesson you learned as you overcame it, or a personal story about how something within one of the chapters of Living Well Spending Less: 12 Secrets of the Good Life personally affected or changed you. Next, send a copy of your essay to secret13@livingwellspendingless.com. 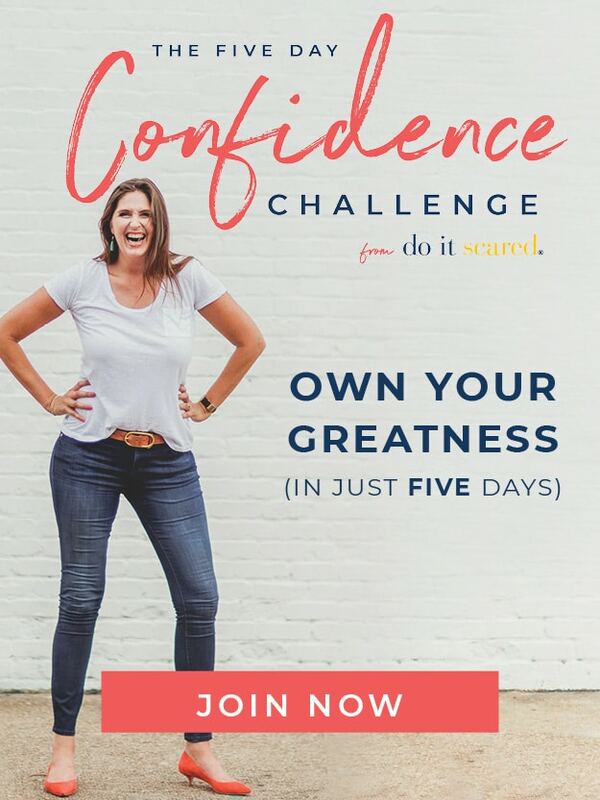 Be sure to also include your name and blog name (if you have a blog), as well as a photo of yourself and any other photos you’d like to include. For more details about the contest and how to enter, please check out our Secret 13 Contest Page! Thank you for sharing your heart Claire! This must have been so difficult to write! Yes, thank you so much for sharing. It may help others considering an ARM! My husband owns a small business and 2008 was a turning point- in a not-so-good-way. In 2014, we lived [or tried to] on $1400 some months. Losing a cherished home is not a fun option, but it helps to hear that you do make it through! Thank you so much for sharing your story. You are SO brave. Talking about the loss of financial control is really really tough. My husband and I were drowning in debt in 2011 and we finally decided to follow Dave Ramsey and got ourselves out of the hole we put ourselves in. It was hard to stop shopping. But I realized, like you, that happiness is not in the things we own or buy. It’s in the ones we love. Hold tight to that. This is so wonderful you can share such a difficult time in your life. The world tries to pin us with failure, but God sees it as a stepping stone. Thank you for sharing, we’re actually going through another tough journey right now, but no worries, God has this … I’ll be talking about it soon.